Visit: www.ojaiwinefestival.com for tickets and details. HALL Wines, the premier 21st century vineyard, celebrates the arrival of warm weather and outdoor gatherings with the release of three new vintages � 2007 HALL Napa Valley Merlot, 2010 HALL Napa Valley Sauvignon Blanc, and 2008 HALL Napa Valley Cabernet Sauvignon. These varietals are part of HALL Wines� signature Napa Valley Collection and express the winery�s commitment to crafting the finest wine, by incorporating artisan winemaking with the most innovative processes and technology. These vintages will be available nationwide at select wine shops and fine dining establishments beginning May 2011. HALL Wines estate vineyards encompass more than five hundred acres of classic Bordeaux varietals, Cabernet Sauvignon, Merlot, and Sauvignon Blanc. The winery employs cutting-edge vineyard technology to yield grapes of the highest quality. HALL Wines� commitment to organic small-vine viticulture, precision winemaking, wild yeast fermentation, and micro-block blending fully extracts the grapes� purity, allowing HALL Wines varietals to clearly convey the character of Napa Valley�s uniquely diverse soil and climate. The 2008 HALL Napa Valley Cabernet Sauvignon features a special blend of hand-picked fruit that was predominately sourced from HALL Wines� estate vineyards. With its deep purple hue, the 2008 vintage induces complex aromas of blackberry jam puree, rich cassis, Asian five-spice and dark chocolate. With a substantive texture that is both dense and opulent, the 2008 HALL Napa Valley Cabernet Sauvignon showcases brawny black and briar fruit flavors that transcend into a velvety enduring finish. The complexity and grace of the wine will continue to mature after five to ten years of cellaring. A focused reflection of its vintage and vineyards, the 2010 HALL Napa Valley Sauvignon Blanc is vibrant, balanced and fragrant. The vintage features an imprint of both finesse and structure that delivers a cleansing palate of soft, ripe fruit and expressive tree blossom with a mineral finish, due to the fact that the 2010 harvest season was one of the coolest on record. HALL Wines� 2010 HALL Napa Valley Sauvignon features a clean and focused character that is attributable to the fact that every cluster of grapes were carefully hand-sorted prior to pressing. The wine was fermented in stainless steel tanks with limited stirring of yeast, results in a pronounced expression of aromas, including honeysuckle and white acacia flower leading to grapefruit, passion fruit, citrus oil and stone. The layered texture of the 2010 vintage also features a fresh palate of ripe honeydew, intermingled with juicy lime, grape fruit and guava harmonizing a glide to a rich, quenching finish. A cuvee of HALL Wines� Napa River Ranch Vineyard and Hardester Ranch Vineyard, the 2007 HALL Napa Valley Merlot celebrates the ideal soil and growing sites of both vineyards. Situated in one of Napa Valley�s coolest regions, Napa River Ranch brings forth primary red fruits and vibrant structure, while the vines at Hardester Vineyard are planted on a hillside enclave creating weight, concentration and a ripe chocolate profile. The blend results in a nose that is generously laced with ripe red plum, black currant, herbal minerality and a ground chocolate spice. While the wine is enjoyable in its youth, the vibrant flavors of sweet tarry plum, cocoa and spiced black jam will mature and gain complexity on the palate after cellaring for three to five years. As winemakers and visionaries, owners of HALL Wines, Kathryn and Craig Hall have a strong appreciation for the environment and are committed to employing responsible winemaking techniques. In addition to becoming California�s first winery to receive the prestigious Leadership in Energy and Environmental Design (LEED�) Gold Certification in July 2009, by the U.S. Green Building Council�s LEED� Green Building Rating System�, HALL Wines received Organic Certification in March 2010, by the California Certified Organic Farmers (CCOF), one of the nation�s oldest and largest organic certification and trade associations in North America. A Woman's View, a division of leading tour operator IsramWorld, has announced a new fall line-up of custom itineraries designed just for women. 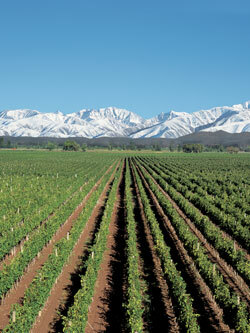 This year, one of the most popular programs is Argentina - focusing on bustling Buenos Aires and the scenic wine capital of Mendoza. This sojourn to Argentina is highlighted by stays at deluxe hotels in European-influenced Buenos Aires with its renowned architecture, restaurants and shopping in the upscale Recoleta neighborhood and the trendy Palermo district. In Mendoza, the wine and gourmet capital of Argentina, participants will experience wine tasting at some of the region's finest wineries with dinner prepared by Master Chef Francis Mallman at the renowned 1884 Restaurant. "We are so delighted with the results thus far of our newest luxury travel program--A Woman's View," says A. Ady Gelber, President and CEO, ISRAMWORLD. "These programs cater to the niche market of luxury travel for women, which we have seen an increasing demand for over the past few years." The new division is under the guidance of Eileen Lowe Hart, Senior Vice President, IsramWorld and Managing Director, A Woman's View. Customized programs for individual, family and group travel to all IsramWorld destinations are also available upon request. Detailed information for all A Woman's View worldwide programs are available on the company's website, www.womansviewtravel.com, or by calling 888-78-WOMAN (888-789-6626) or via e-mail at info@womansviewtravel.com. ...wines from more than 70 Central Coast premier wineries complemented with savory and sweet delectable delights at the Santa Barbara Wine Festival�. Escape for an afternoon and enjoy the refreshing ambiance of being in nature as you take pleasure in tantalizing tastings of food and wine. This is a must-do summertime favorite and the wine festival you cannot miss. Get your tickets now and save! At the door (if available): $95/person. Proceeds benefit the Museum's exhibits and science education programs for school children.